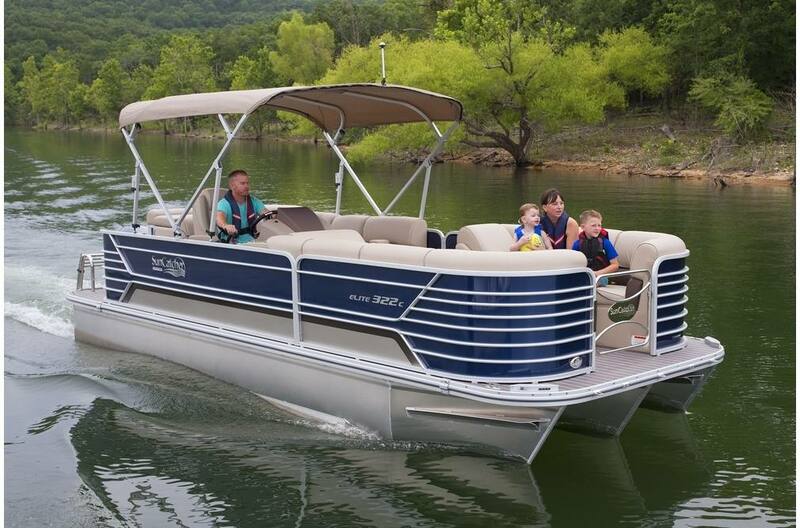 Classic family friendly layout with plush furniture and single sundeck with privacy enclosure advances into the Elite category. 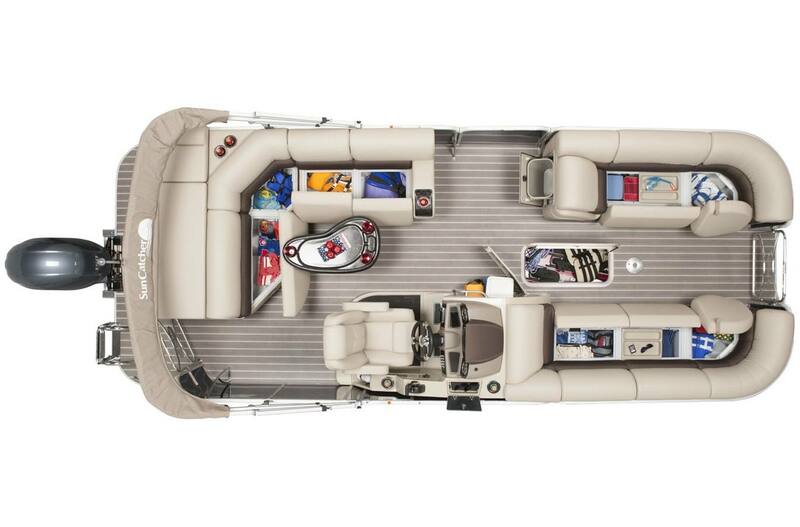 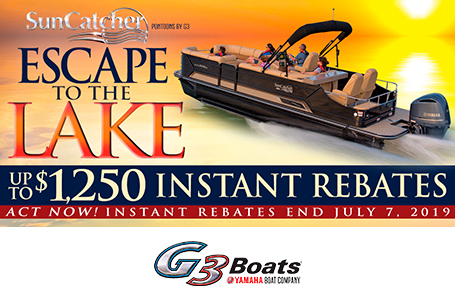 The SunCatcher Elite 322 C adds all of the high-end amenities that this upscale design deserves, including mood lighting, Kicker® entertainment system, and stylish color and flooring options. 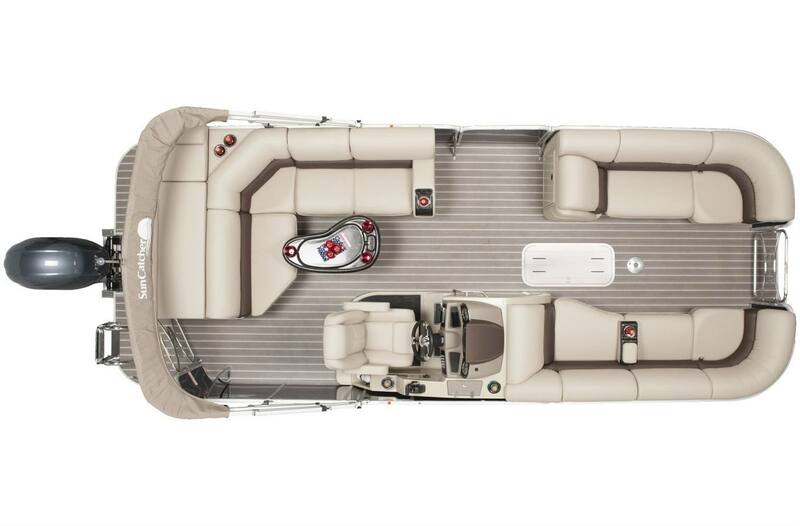 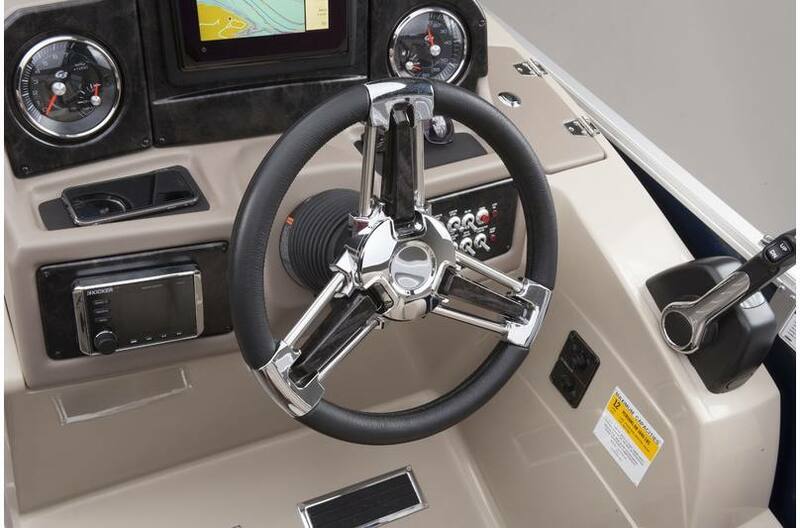 All Elite Series pontoons feature power steering and custom tilt wheel, along with Yamaha controls, Simrad® GPS electronics, and quality Faria® gauges. 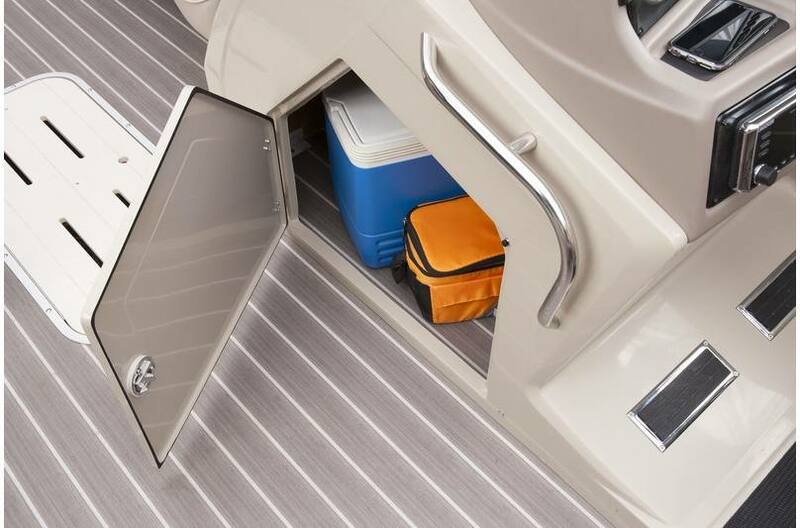 Every inch of space is intelligently used, including the large area under the console...perfect for storing a cooler or other bulky items. 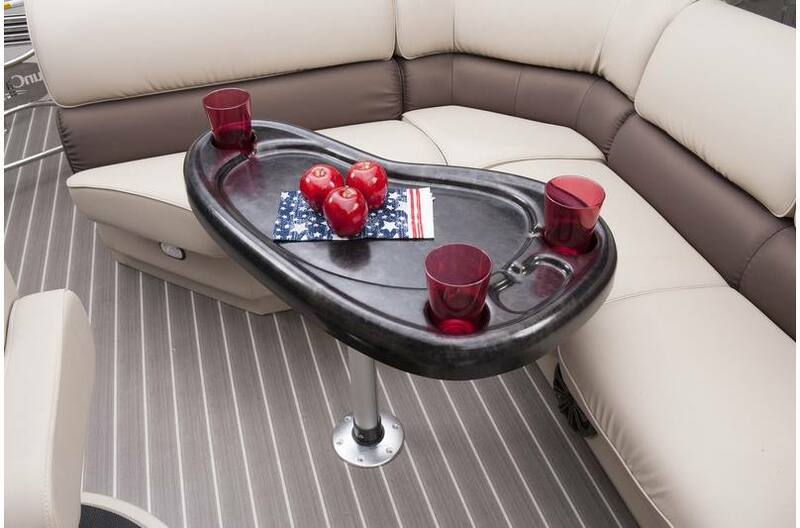 Thoughtful design in an elegant pedestal table provides a recessed surface for easy clean up, deep secure cupholders, and a choice of bow or stern locations. 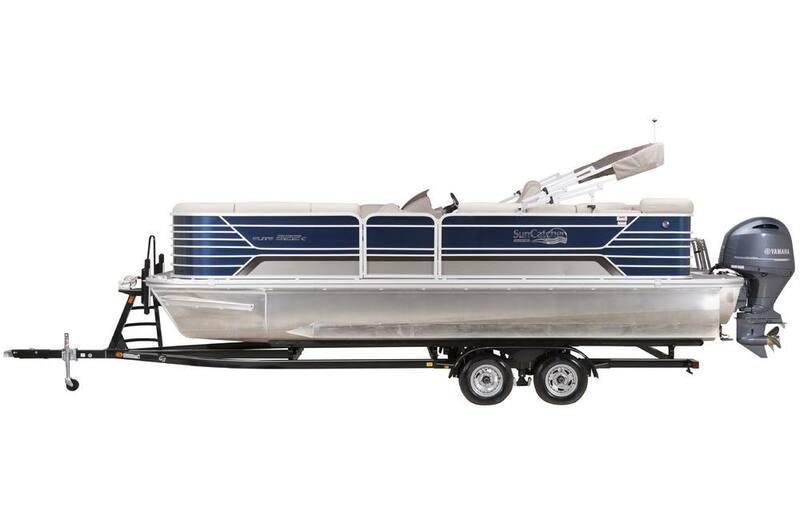 Dry Hull Weight: 2840 lb.